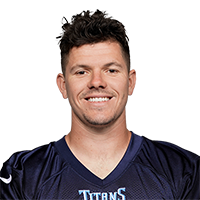 Analysis: Woodside spent three weeks on Tennessee's practice squad last season, and most recently played for the San Antonio Commanders in the AAF while throwing for 1,385 yards and seven touchdowns across eight games. Now back with the Titans, Woodside will work to carve out a reserve role behind Marcus Mariota (neck) and Ryan Tannehill. Woodside signed to the Titans' practice squad Monday, Turron Davenport of ESPN.com reports. Analysis: A seventh-round selection by the Bengals in April's draft, Woodside couldn't beat out Jeff Driskel for the backup role. He'll now spend the season refining his craft, learning from veterans Marcus Mariota and Blaine Gabbert. Woodside was arrested June 9 in Bellevue, Ky. for speeding and operating a motor vehicle under the influence, Jim Owczarski and Bob Strickley of The Cincinnati Enquirer report. Analysis: The Bengals confirmed in a statement that they were aware of Woodside's arrest, but it's unclear if the seventh-round rookie will be subject to any discipline from the team or the league. Woodside is fourth on the Bengals' depth chart at quarterback and faces an uphill battle to make the 53-man roster, though he could land on the practice squad if he fails to break camp with the club. There are no videos available for Logan Woodside. Click here to view all videos.